Less obviously commercial than Wavelength but nonetheless an ever-so-slightly superior album, Van’s final album of the Seventies continues the artistic comeback of its predecessor and strikes a masterful balance between the more Celtic-oriented sounds of Veedon Fleece and the more hook-laden pop of Wavelength, thereby offering something for fans of every one of Morrison’s many musical styles. The disc opens with the killer one-two punch of the jubilant hoedown of “Bright Side of the Road” and the Celtic-tinged acoustic rocker “Full Force Gale,” about as great an opening pair of cuts as we’ve seen on any Morrison album since Moondance’s “And It Stoned Me” and title cut. The disc lags slightly as you get further into the first side but bounces back in a major way in its back half, the soulful “You Make Me Feel So Free” closing out the first half of the record on an appealing note, while the album’s second side is chock full of highlights, from the pleading “Angeliou” to a cover of the standard of “It’s All in the Game” (the music of which was penned by – fun fact – Charles Dawes, the Vice President under Calvin Coolidge) that is arguably second only to Tommy Edwards’ chart-topping rendition as the best recording of that song. If you’re only going to own one of Van’s post-Saint Dominic’s Preview albums of the ‘70s, this is the one to pick up. 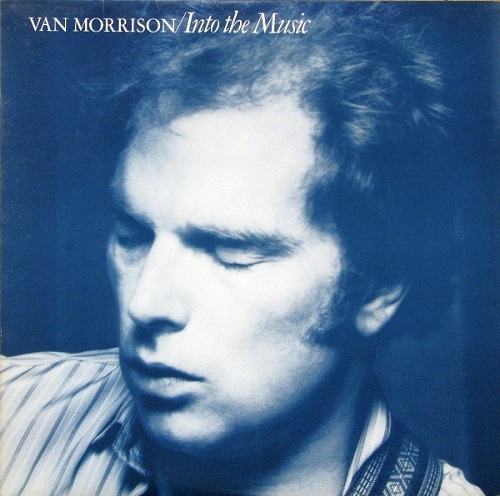 As weird a career move as Morrison has ever made, Van’s first album of the Eighties found him following up Wavelength (his best-selling album in years) and Into the Music (his best-reviewed album in years) with an experimental affair that ranks as his most heavily jazz-influenced album since Astral Weeks. While these songs actually sound more structured and pre-planned than those on the more free-form-styled Astral Weeks, they ironically manage to sound much less commercial at the same time, and not even the catchiest song here can measure up to “Sweet Thing” or “The Way Young Lovers Do.” While Common One was most heavily critized for its lyrical content, which was seen as Van’s most pretentious work yet, the musical content of this disc is every bit as insular, and it’s a bit of a mystery why Van would risk alienating all the fans he’d won back with the concise and focused pop of Wavelength by kicking off a new decade with a largely jazz-tinged disc boasting just six songs, two of which even surpass the fifteen-minute mark! The organ-driven gentle funk of “Satisfied” is an overlooked minor gem, and “Haunts of Ancient Peace” is a fairly pretty opener, but otherwise, the disc, while certainly wildly intriguing as a whole, offers very few strong individual moments, and not since Veedon Fleece has Van sounded so clearly like he’s stopped caring about what his audience actually wants and is just making the record more for himself than for his fans. It’s still a more intriguing and coherent album than Hard Nose the Highway and tends to be ever-so-slightly underrated, but if it’s Van’s pop side you like, the equally spotty but less pretentious A Period of Transition is the more preferable of the two. Almost certainly a reaction to the poor reviews that greeted Common One, Morrison returned to more concise and pop-oriented material on his second album of the Eighties, even if he remained stubbornly immune to updating his sound in any way. (This album sounds as if it could have very well been recorded five years earlier and simply plucked from the archives, and it’s truly remarkable that a disc with this release date could sound virtually indistinguishable from Wavelength given all the advancements that had been made in the years since.) The album can be a little too sleepy for its own good and could really have used an up-tempo cut in the vein of “Domino” to help give it a bit more energy, but that aside, this is an excellent set of material, highlighted by the lovely and hypnotic “Dweller on the Threshold,” the soulful slow groove of “Cleaning Windows,” the stirring ballad “She Gives Me Religion” (featuring a killer trumpet solo from Mark Isham) and the live favorite “Vanlose Stairway,” and Morrison’s songwriting instincts are as sharp here as they’ve been in years. It’s not only a nice recovery from the ill-advised Common One, but this disc also stops barely shy of having the same appeal as the masterful Into the Music. Easily one of Van’s weirdest albums, this disc – the last he’d ever record for Warner Brothers – is something of a paradox. It’s much more contemporary-sounding than its predecessor (unlike Beautiful Vision, this disc – in its hippest moments, that is – actually does sound like it fits in with the ‘80s adult-contemporary pop of its time), and yet it’s absolutely cluttered with instrumentals (four in all) and many heavily Celtic-tinged songs (particularly “Irish Heartbeat,” the largely-spoken “Rave On, John Donne” and the gorgeous instrumental “Celtic Swing”), rendering it not anywhere nearly as commercial an album as you initially expect it to be, given the appealing – almost sophist-pop-like – sheen of the opener, the chilling “Higher than the World,” as beautiful a song as Van’s written in nearly four or five years. [The disc does, though, boast Van’s hardest-rocking song since Wavelength in “The Street Only Knew Your Name,” which helps to give the back half of the disc a nice burst of energy.] It’s a mildly schizophrenic record, to be sure, but the quality of the best songs here – particularly “Higher Than the World,” “Celtic Swing,” “The Street Only Knew Your Name,” and the ballad “River of Time” – really goes a long way towards making this a stronger listen on a whole than it might otherwise be. In one sense, this is nearly as experimental a record as Common One (it’s certainly as interesting, at least), but it’s less insular and a bit more accessible, and the disc, though not as solid an album piece overall as the more focused Beautiful Vision, tends to be a bit underrated. Not that Morrison was at the height of his commercial powers when Mercury signed him away with Warner Brothers in the mid-‘80s, but you still have to believe that the label had to be less than thrilled with the first record he handed over to them. Van still doesn’t sound like he’s listened to much, if any, contemporary music since the mid-‘70s, so most of this material still sounds – both in terms of production and sound quality – as if it could herald from Into the Music and feels years behind the times. Just as problematically, of the ten tunes here, two are instrumentals (although “Evening Meditation” is quite lovely), another two are Mose Allison and Ray Charles covers, and one is a musical adaptation of a William Blake poem, while the album’s single is a song called “Tore Down a La Rimbaud.” [Imagine, if you will, being a promotions guy at Mercury in 1984 trying to sell radio on a disc like this.] The disc isn’t without its moments – the title cut is a fairly good ballad, and the lovely album-closing “A New Kind of Man” foreshadows the tasteful and more contemporary-sounding soul-pop of Van’s later discs of the decade – but the disc as a whole is both too spotty and too schizophrenic (Inarticulate Speech was schizophrenic, too, of course, but at least that disc had a strong single in “Higher Than the World,” which is catchier than anything you’ll find here), and the disc is arguably his weakest since at least Common One (which, pretentious as it is, is still more appealing than this record) if not Hard Nose the Highway. 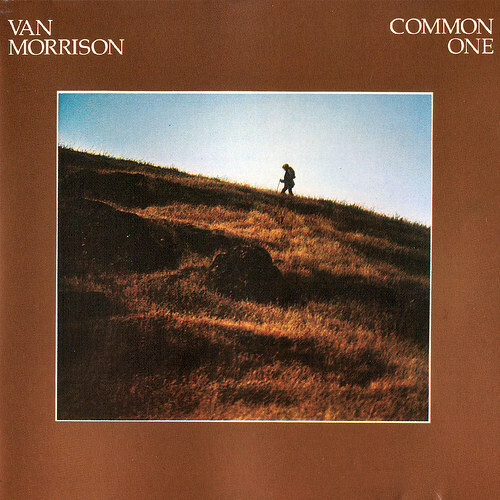 Easily Van’s best album since Beautiful Vision, this album boasts the same gorgeous production and sonic crispness of No Guru, No Method, No Teacher (the latter is apparent literally just two seconds into the disc, as Morrison’s saxophone on the utterly gorgeous and tranquil opening instrumental, “Spanish Steps,” sounds as if it were practically in the room with you) but bests its two predecessors by both being less insular (Van’s lyrics, for starters, are much less obtuse here than they’ve been since he left Warner Brothers) and containing a more appealing – and more immediate – set of songs, highlighted by the infectious toe-tapper “Did Ye Get Healed” (featuring some heavily amusing interplay between the brass players and background vocalists throughout most of the song), the cleverly-arranged, harp-driven ballad “Queen of the Slipstream,” and, best of all, the lush and stirring love ballad “Someone Like You,” which isn’t nearly as famous a Van Morrison ballad as “Have I Told You Lately” but is arguably the more beautiful of the two songs and really ought to have become a modern-day wedding standard. [Not that the song has gone entirely unnoticed – it’s been used in over half a dozen major motion pictures, most memorably as the music that plays during the climactic scene of Bridget Jones’ Diary as Renee Zellweger and Colin Firth’s characters kiss passionately in the middle of the street as the snow comes down.] Even if “Someone Like You” were the only good song here, this disc would still be worth picking up; that everything else here is similarly appealing makes this one of Morrison’s most criminally underrated albums. His most pop-friendly album, this certainly isn’t, so definitely do not go into this disc expecting the likes of a “Domino” or “Moondance” or “Wild Night.” That being said, however, this is as inspired a disc as Poetic Champions Compose, Beautiful Vision, or Into the Music, and ranks as one of Van’s most artistically successful left-field excursions. Mind you, Van has been working Celtic influences into his music as far back as early ‘70s discs like Veedon Fleece, but he’s opted here to immerse himself fully into Irish music this time, even going so far as to recruit the most famous traditional Irish band of all, The Chieftains, to serve as his backing outfit for the entire record. Two Morrison originals from past albums (Beautiful Vision’s “Celtic Ray” and Inarticulate Speech of the Heart’s “Irish Heartbeat”) have been re-recorded here, but the new versions are arguably superior to the original recordings and don’t feel in the least like padding. Otherwise, the disc is comprised of faithful and well-executed renditions of such traditional Irish folk standards as “She Moved through the Fair,” “Star of the County Down,” and “Carrickfergus,” and it’s obvious from the performances by all parties just how much this music means to them. It’s certainly not the best entry point into the Morrison catalog, but once you’re a convert, this is a very fun and highly appealing detour into Morrison’s more personal and experimental side. Van closes out the Eighties by continuing the artistic comeback of Poetic Champions Compose and Irish Heartbeat. This is a much more pop-friendly affair than Irish Heartbeat and is much in the same vein as Poetic Champions Compose, sounding just as crisp and boasting no lesser a set of songs. The wholly-spoken “Coney Island,” while stirring, could nearly pass for an outtake from A Sense of Wonder and seems slightly out of place, but otherwise the disc seems quite fresh and its best moments are truly beautiful, particularly the modern-day classic “Have I Told You Lately” (which failed to garner much radio play in the U.S. but would become a wedding standard years later after Rod Stewart popularized the song by including it in his MTV Unplugged episode and its accompanying album, Unplugged … and Seated), the gently-soulful “When Will I Ever Learn to Live in God,” and the hypnotic “Contacting My Angel.” The disc – unusually for a Morrison album from the ‘70s or ‘80s – also includes a full-blown duet in the form here of an inspired collaboration with British pop legend Cliff Richard on “Whenever God Shines His Light” that opens the album on a jubilant and playful note. This is as good an album as Van ever made after leaving Warner Brothers.